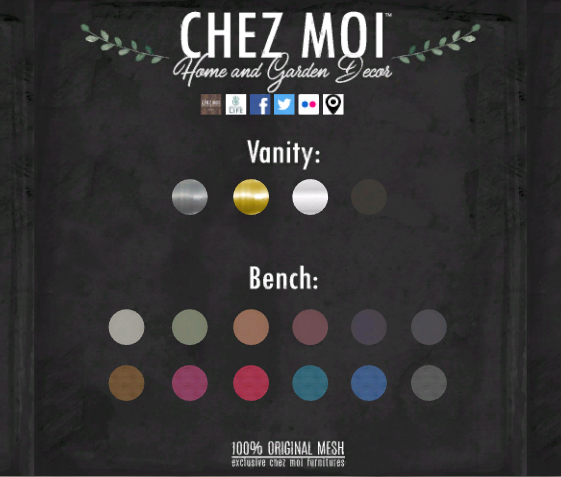 The Tuileries Bed has a vintage look and a soft color tone to create a romantic atmosphere in your bedroom. 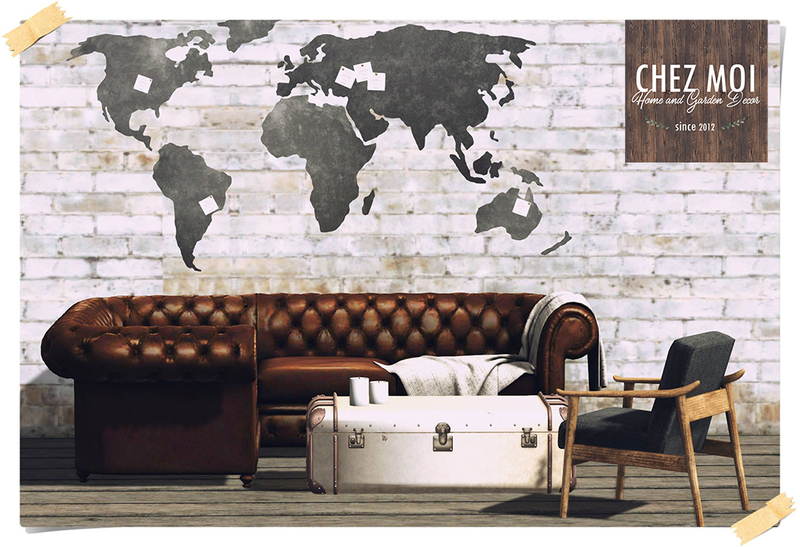 ♥ Room for 1-2 people. 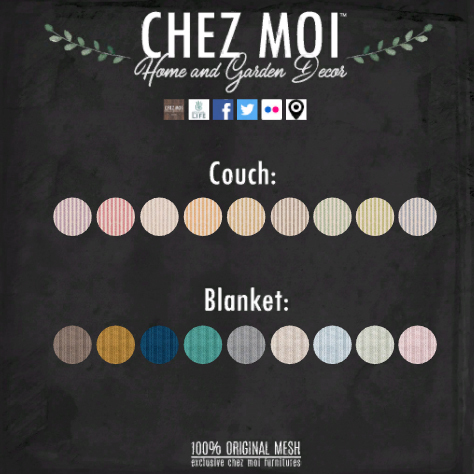 Texture change HUD: attach the HUD and you can choose the texture of the blanket and pillows. 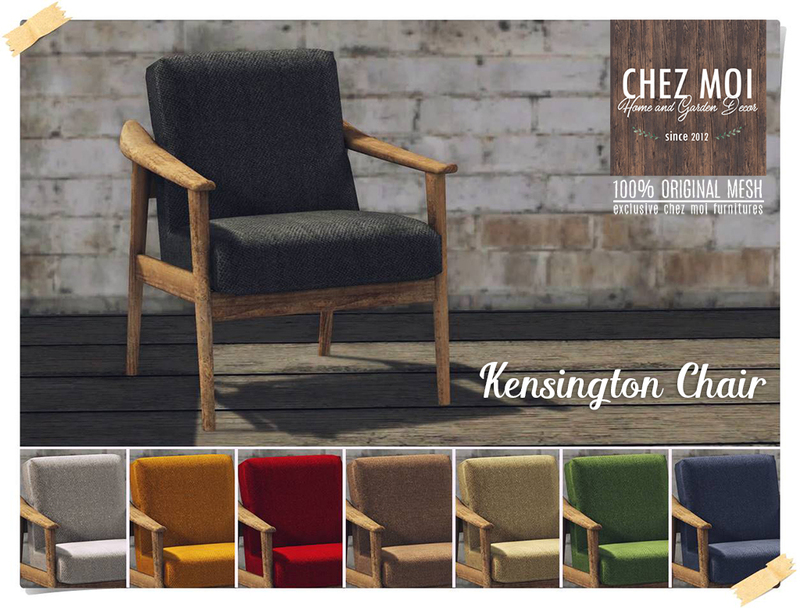 The Kensington Collection is a sophisticated living room to gather your friends and family or have a relaxing time of your own. 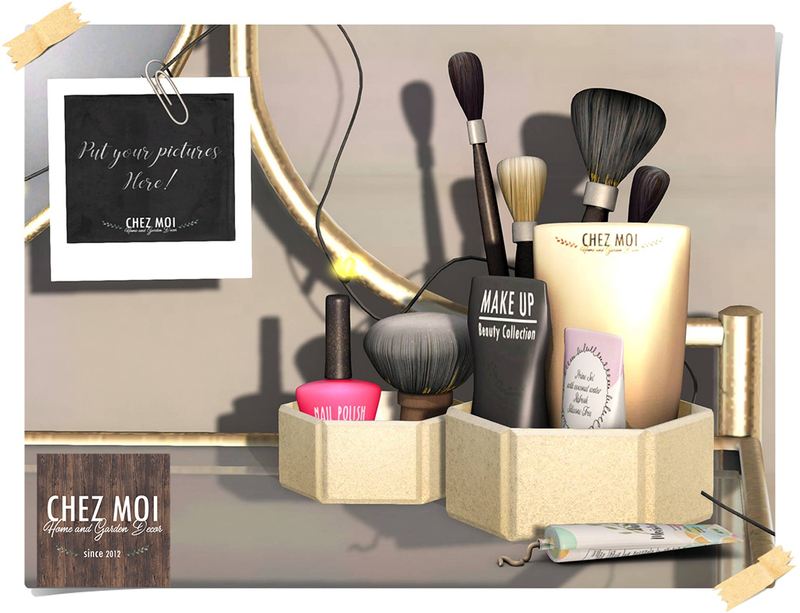 This set is available at CHEZ MOI MARKETPLACE, or visit our IN-WORLD STORE for a closer look. 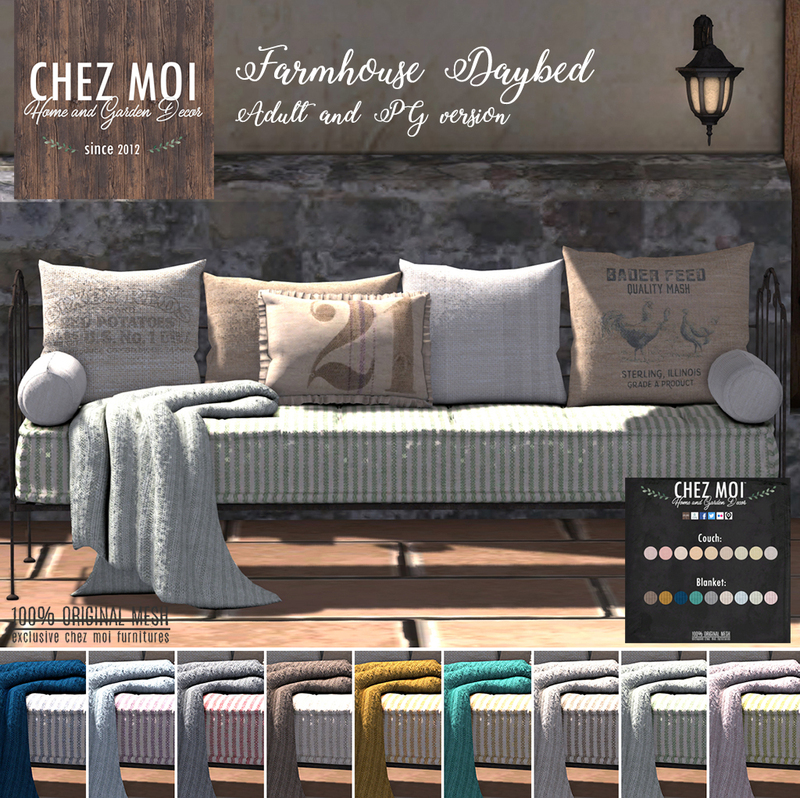 Farmhouse style daybed fully interactive for relaxing moments and great romances. 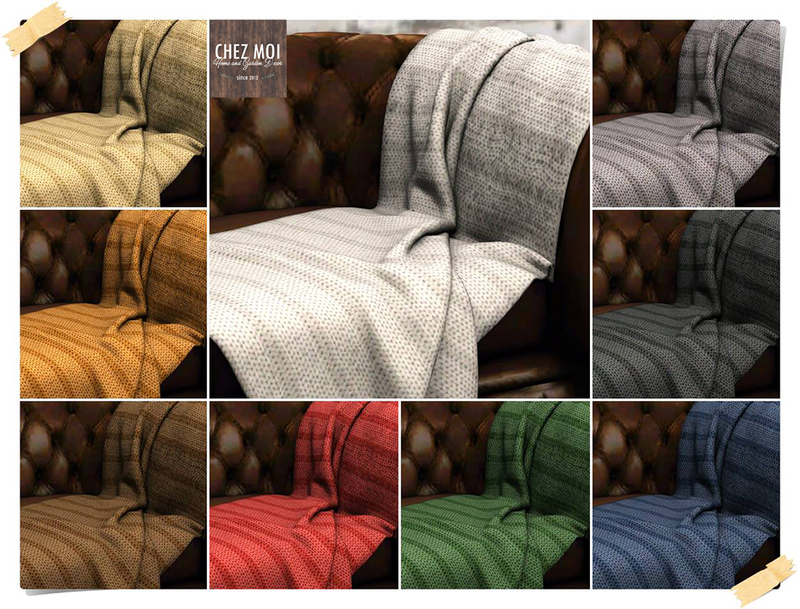 Texture change HUD: attach the HUD and choose the color of the couch and blanket. 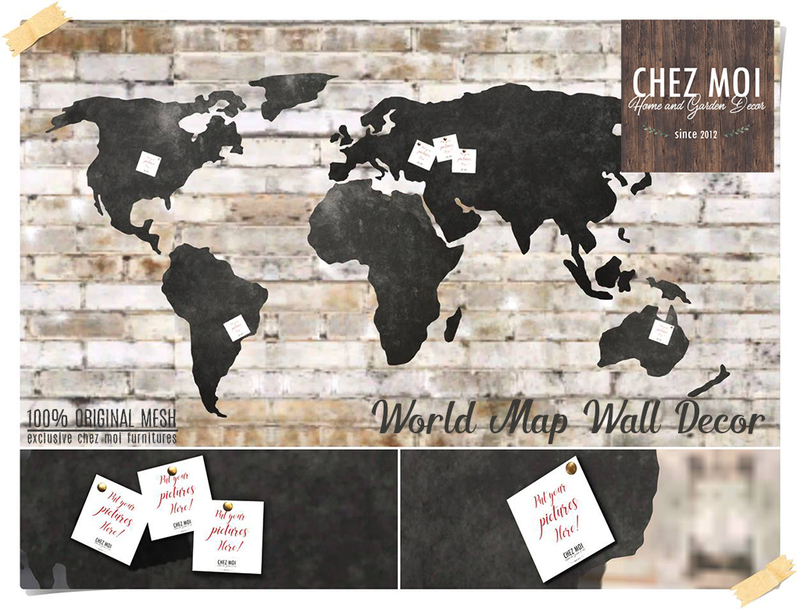 Available on CHEZ MOI MARKETPLACE, or for a closer look visit our IN-WORLD STORE. 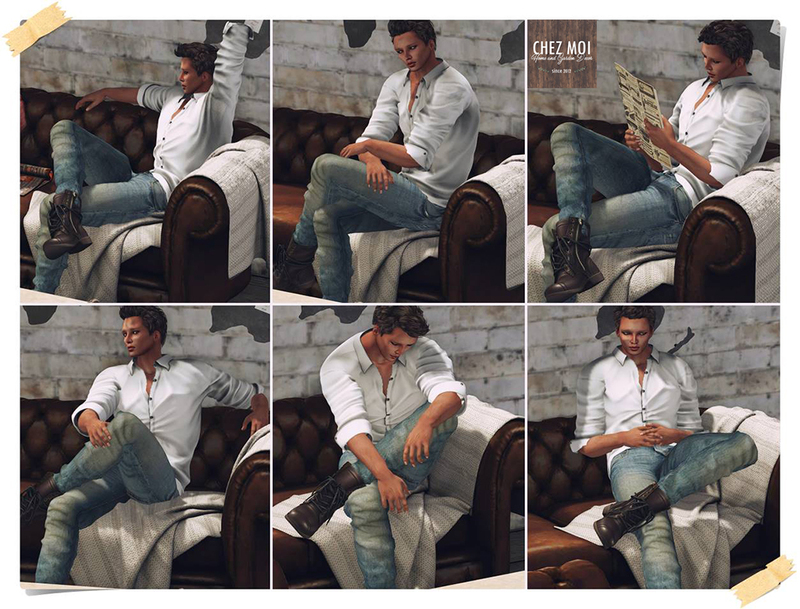 ♥ Rezzing Auto Props – assigns when an animation is chosen. 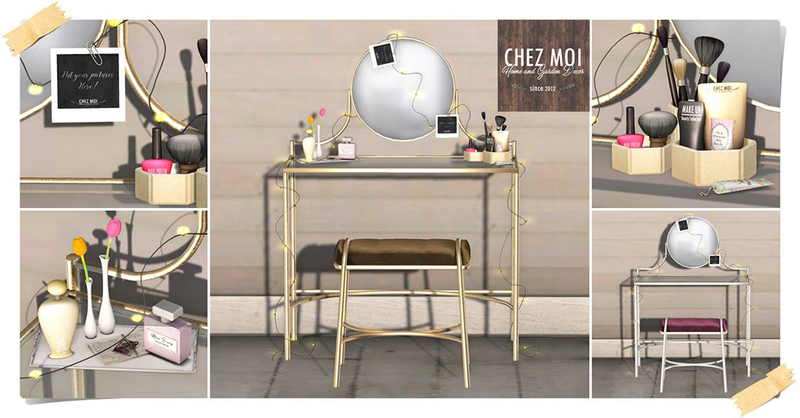 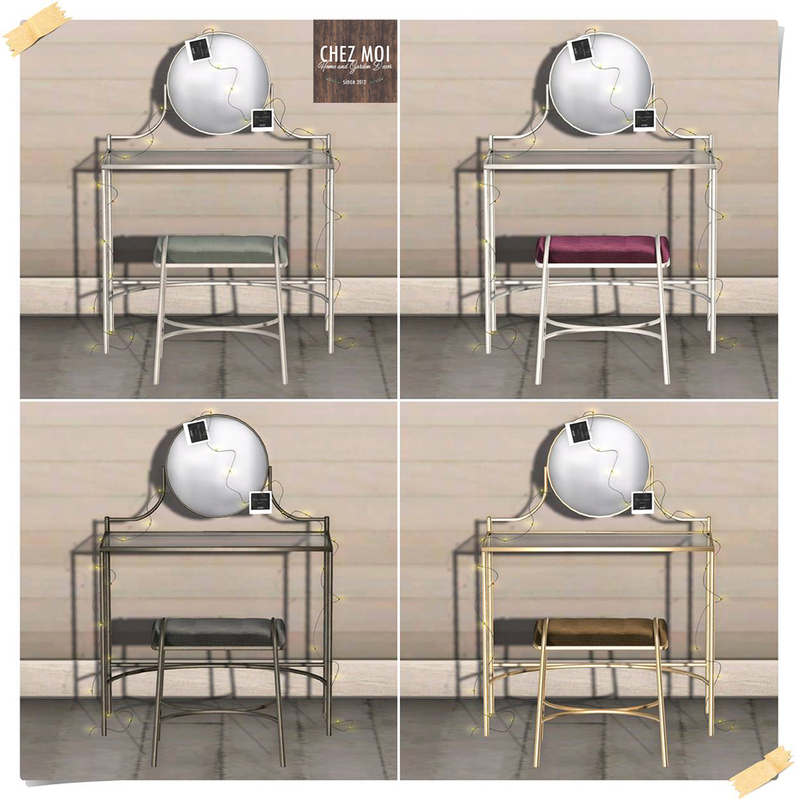 The Lille Vanity Table is available on CHEZ MOI MARKETPLACE, or for a closer look visit our IN-WORLD STORE.